Spanish motor-sports company GTA, with an admirable racing reputation shouldered by two entries in the Formula 3 championship, entered the European supercar arena with the 2010 GTA Motors Spano. Not the most heralded supercar, the Spano’s greatness lies in its unique framework and its Sento Pallardó design features. The 2010 GTA Motors Spanochassis, unique to motor-sports and weighing a scant 128 pounds, was manufactured with a new combination of titanium, carbon fiber and Kevlar. Mounted mid-car on this peerless frame is a Viper V10 engine borrowed from struggling Chrysler and then reengineered for use in the Spano. Supercharged and longitudinally mounted, the V10 generates 840 horsepower with 679 foot-pounds of torque sent through a seven speed transmission. All this power pushes the Spano from a standstill to 62 mph in under three seconds with a safety-governed top speed 217 mph. An advanced dashboard with customizable LCD instruments, a leather-clad carbon fiber steering wheel, a joystick controller, and a camera fed video screen replacing the rear-view mirror adorn the cockpit. A panoramic glass roof with a patented opacity system for shading and an LED lighting system compliment the Spano’s spacious interior that comes equipped with matching tailored luggage. 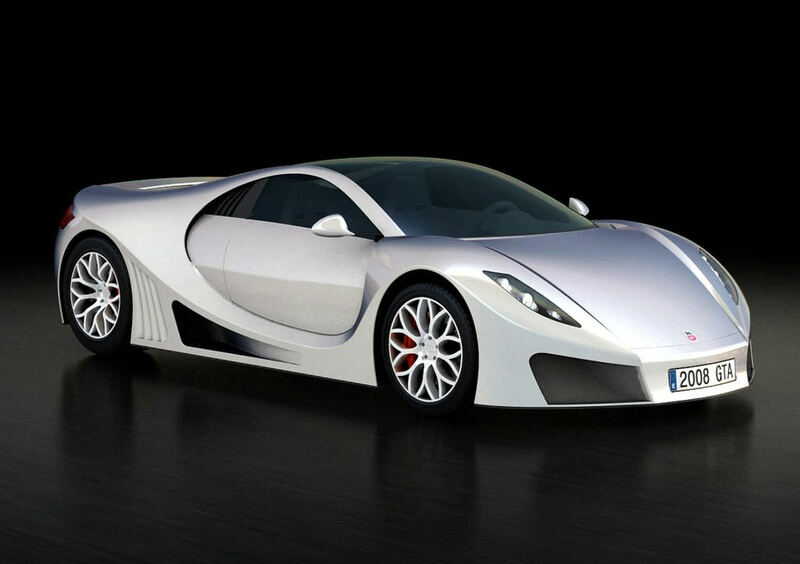 The GTA Motors Spano, with its name plate emblazoned by the GTA wolf and a limited production run of 99 vehicles, is a supercar bargain priced around $670,000. Italy’s traditional supercar dominance may in danger with this sultry Spaniard now a market contender.